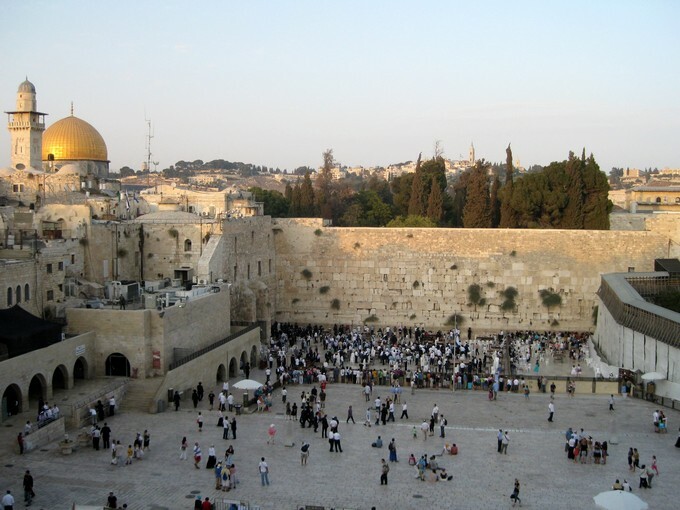 Although Jerusalem was my home and I loved it beyond words, I had a second passion which was the Galilee. That northern part of Israel is rich and beautiful. The wildflowers alone are worth a trip in the spring. I don’t know how the seasons are now. 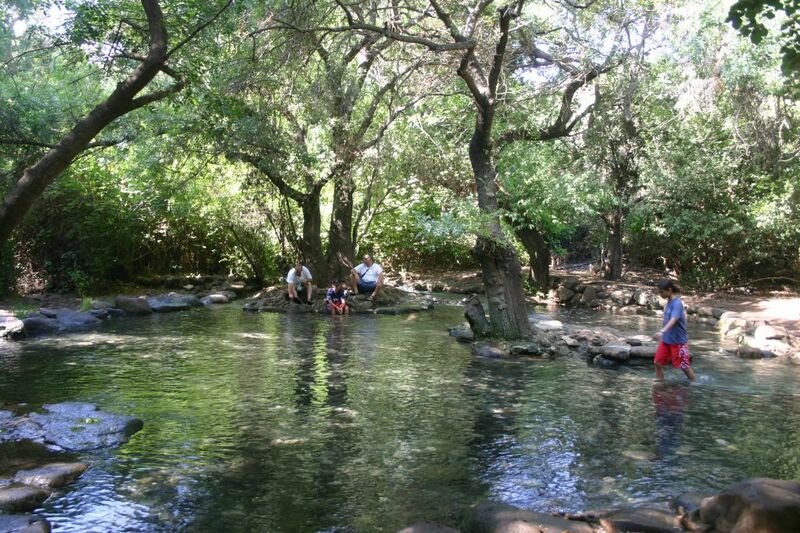 The best little piece of the Galilee is Tel Dan, archaeological site and nature reserve. 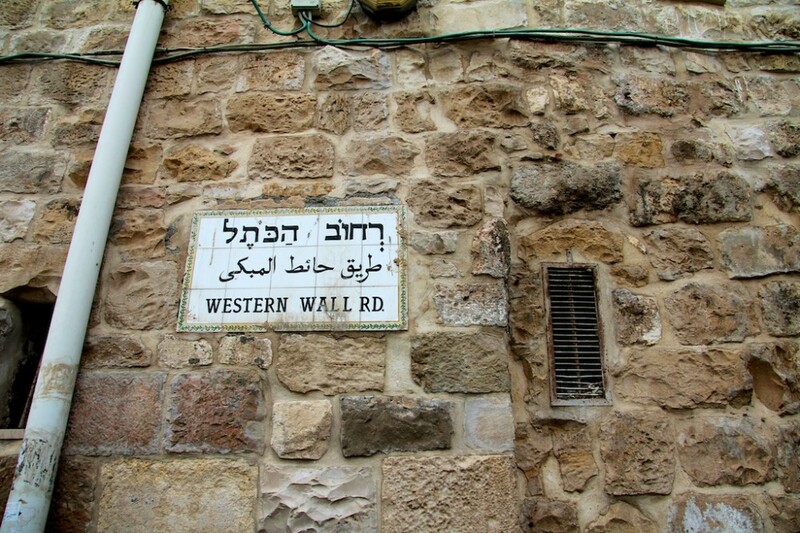 In Hebrew, it is “Gan Eden” and there’s a sign (or was, anyway) in English that read “Paradise” with an arrow. Just follow the path. I haven’t been back since September 2001 and much has changed, especially the weather. 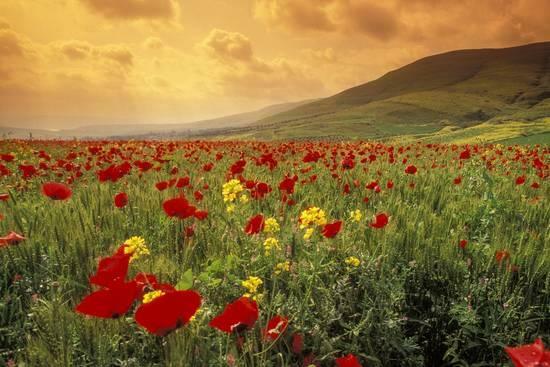 But it used to be that May in the Galilee, the open fields were covered with wild poppies, scarlet against the green grass. 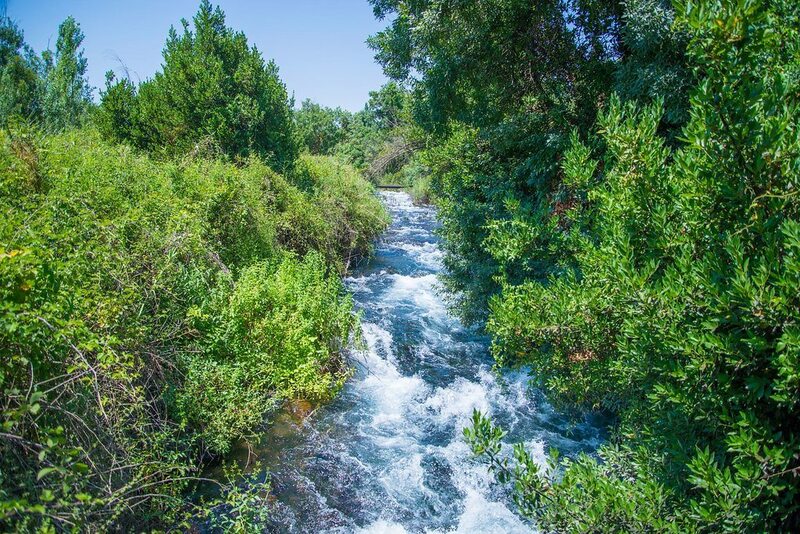 Israel has a climate that is not unlike Arizona, which is to say winter is rainy and green. Chilly unless you are atop a mountain, but not usually cold … not like the cold we get here. Spring starts very early, in January when the almond trees bloom and April and May are typically breathtaking. The ground is still moist from the winter rains and the world is green. Later in the summer, months after the rain has ended and it’s just plain hot with a blue sky and sun that never ends, everything turns brown or beige or tan with little green to be found except on balconies overflowing with flowers. One spring, we traveled up to Tel Dan. 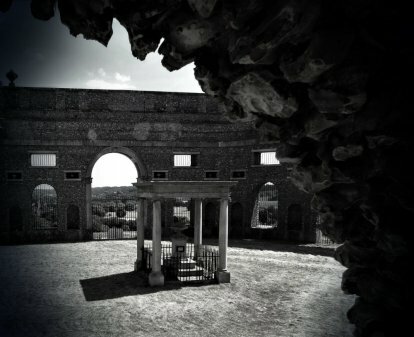 It is obvious that there has been considerable development, archaeological, in the park itself, and of course, hotels. When we were there early in the 1980s, it was a park with some archaeology work in progress, but no hotels. No fancy walkways. It was a “school trip” or a family outing. Now it’s fancier and there is more to see, but I think I liked it better before the betterment. There’s a lot of information about it and a lot of photographs, too. This is one of the magical places in the world. You can see it, feel it. 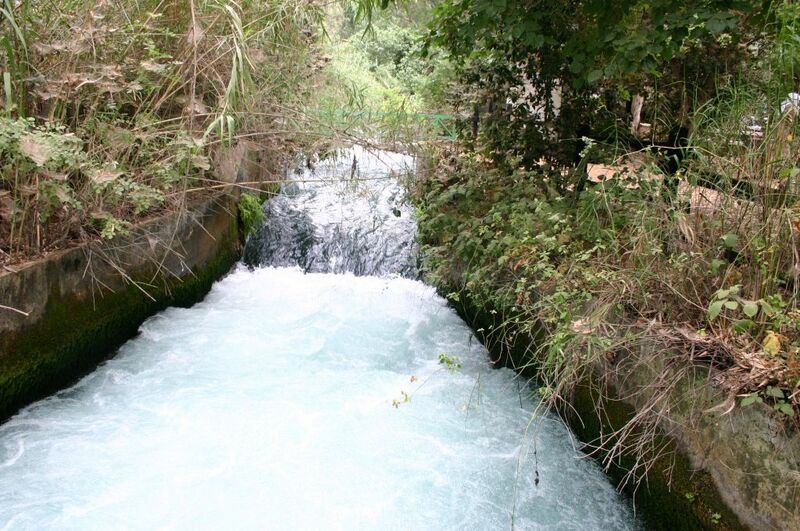 It is part of the source waters of the Jordan River and has been in existence since before Abraham which is at least 5,000 years. 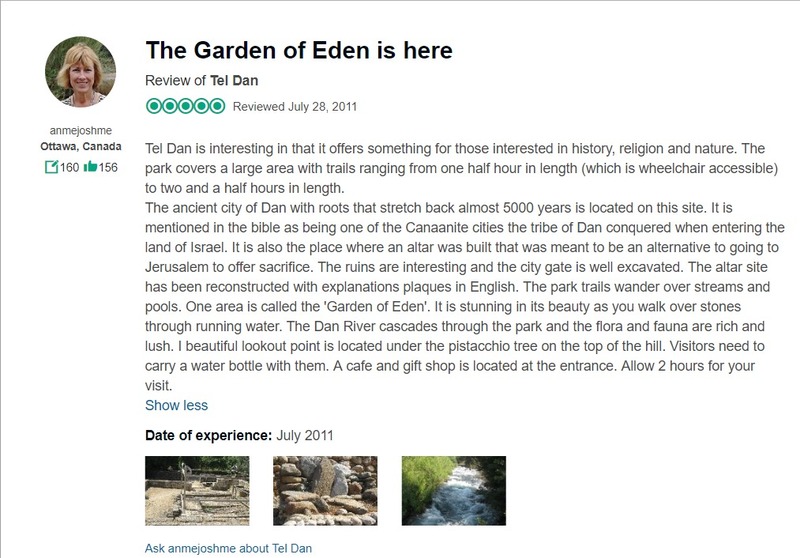 There are several websites about the park, but this is the one at which I would start: The Tel Dan Nature Reserve. 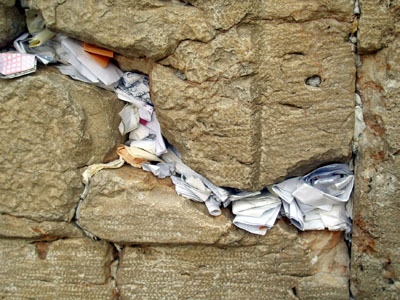 The site is written in English and Hebrew (there are probably other languages too). It includes some amazing photographs. 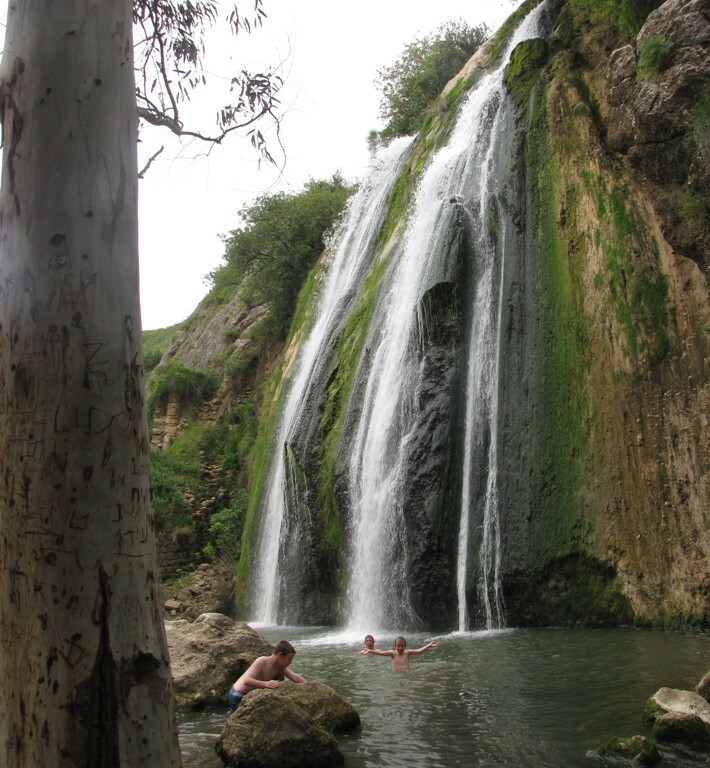 The big waterfall is the Banias (originally probably “Panaeus” from the Greek). When I was there, there were no “floating walkways.” You just tripped along rocks and roots through the flowing Dan river as it bubbled up out of the mountain. There are deep pools which look inches in deep because the water is absolutely clear and frigidly icy. That’s where I met my first bee-eater who was every color in the rainbow. There is also a lot of archaeological digging in progress. There remains much more to discover including caves, alters and probably a lot more below ground. 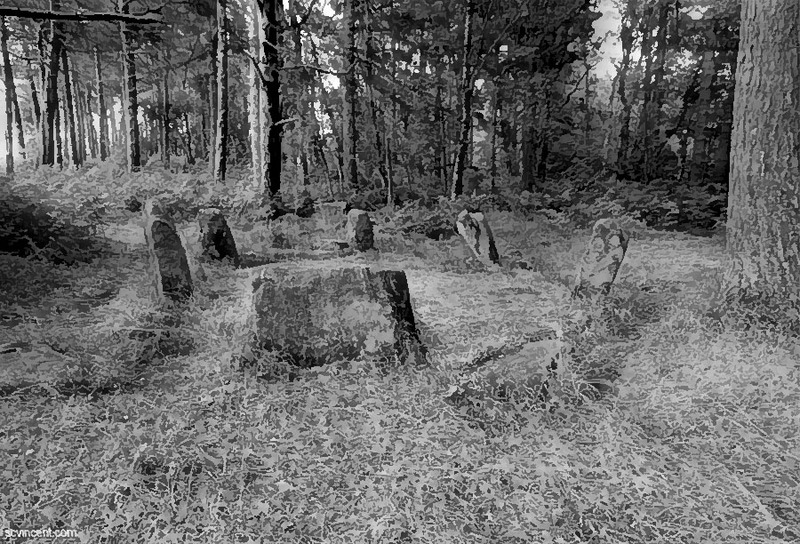 It is one of the oldest known sites in the area. Not as old as Jericho or the caves at Carmel, but very old and continuously inhabited for most of its time. 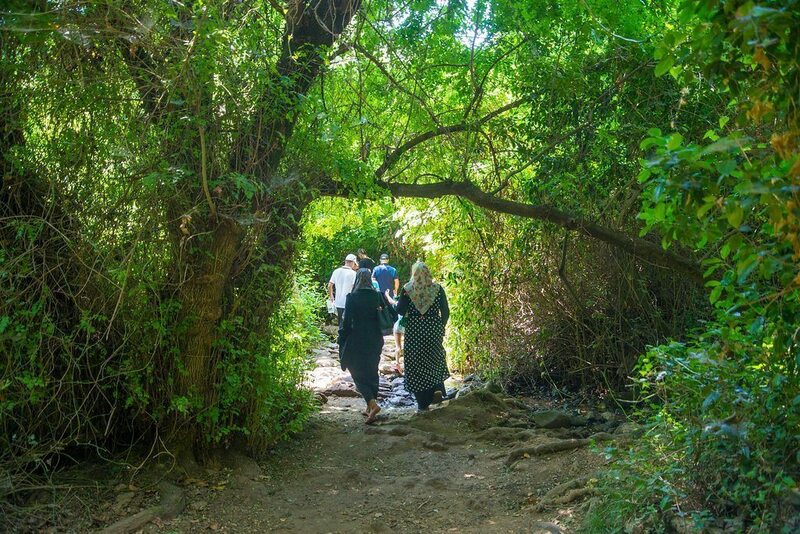 I walked through Paradise and I don’t doubt for a minute that it was indeed Paradise. It felt like it to me.